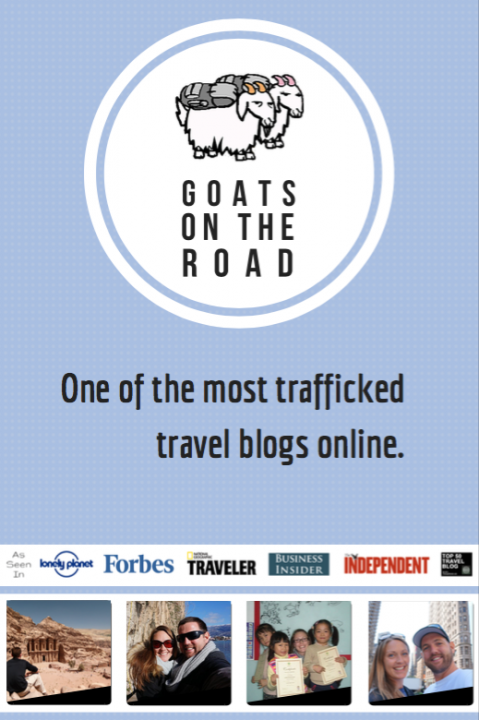 Goats On The Road is a travel and lifestyle blog with an enormous, travel focused and engaged audience. We’ve been listed on almost every “Top Blog” list online (including the Top 50 Travel Blogs Based on Traffic by TheExpeditioner.com) and are proud to say that we’ve built our website into a well-oiled marketing machine that can offer brands, products and companies an incredible amount of online exposure. Our rates are still competitive, making this a great time to have your name, brand or company seen by our targeted audience. Our loyal followers have spoken for us and booked trips after visiting our site so we know that there is immense advertising value in our pages. 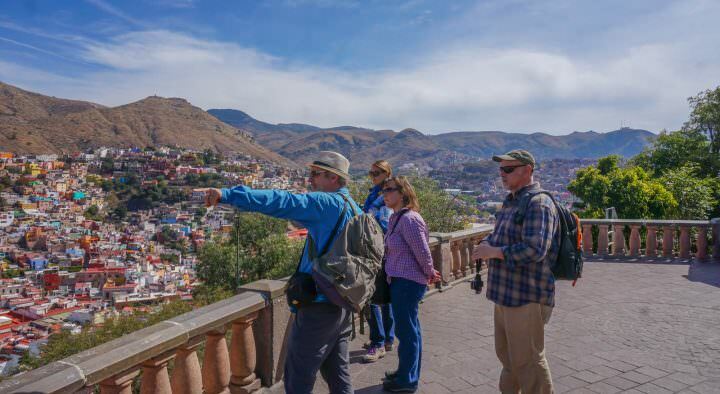 Press Trips & Destination Partnerships: By inviting us to your destination, on your tour or into your country, you will be hiring us to showcase our experiences using professional photography, drone videography and well-written articles on our award-winning blog. Nick has over 15 years of video shooting and editing experience, while Dariece is a social media guru. Product Reviews & Giveaways: We’ve worked with all sorts of brands from new start-ups on Kickstarter to well-established brands like Subway Restaurants and Expedia. By paying for a giveaway and review on our site, your brand will be seen on every page of our site and in our newsletter. Social Media Campaigns: For a fee, we can promote your brand through social media using your @ handle to mention your accounts and your specified hashtag to ensure that you maximize your ROI on the channels of your choice. Twitter Chats: For a fee, we can host or partake in your twitter chat and even write an article to promote the chat. We can also pre-promote the chat through all of our social media channels. Ambassadorship Programs: If you would like us to be continued ambassadors for your brand or product, simply Contact Us and we will work out a package that is right for you and us moving forward. Note: All partnerships must be in line with GOTR’s travel style, audience interest and philosophy. Your videos have given my wife and I the push we needed to finally visit Grenada! Thanks for the inspiration! Your travel guides are pure gold! I’ve used them for all of my trip planning. Thank-you! These numbers are all highly targeted towards the travel crowd. Anyone coming to this site is looking for tips on where to sleep, what to do and how to get there. We generally find our readers in the final stages of the planning process, ready to book. We have the adventure couples and long-term travel niche locked down and we rank highly in Google for terms like “Travelling To [destination]”. 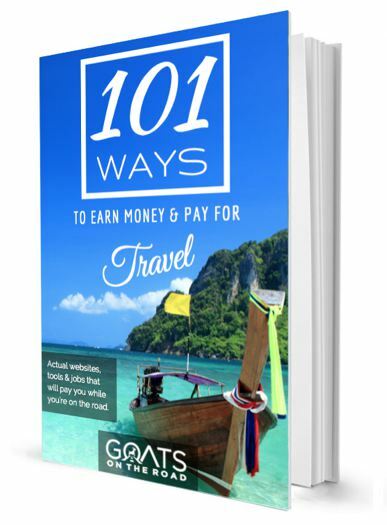 We have an inbox full of “what should we do’s” and “where should we go’s.” Advertising on Goats On The Road now is a great investment as we will continue to grow at this rate. AeroMexico – We work closely with AeroMexico for our flights in and around Mexico. Riviera Maya Tourism Board – We were invited by the Riviera Maya to travel around the region and share our experiences with our readers, viewers and followers. Yucatan Tourism Board – We were invited to travel around the Yucatan to showcase the regions historical sites and natural beauty. Southeast Asia Backpacker Magazine – We are brand ambassadors for the Backpacker Magazine group. Credit Walk – We are partnered with Canada’s Credit Card Resource. MyTEFL – We are ambassadors and affiliate partners with MyTEFL. Wise Bread – We manage some aspects of Wise Bread’s social media and we write on the top finance blog full-time. Hopefully you! If you would like to see your brand, logo or business appear on this site, or you’d like to invite us to your destination to showcase it to our readers, just contact us below and we will be happy to answer any questions. If we do agree to place an ad on this site, or complete a press trip, we will do everything in our power to promote it and have it suggested to our followers. Note: If the numbers in the media kit and this page have disparities, this page is more up-to-date. It’s an interesting website keep on and my wish for you: More Success. We are 4 friends from Spain who want to trek for your country for 6 days, we would begin on 31 May to 5 June. I want to know the possibilities that you can offer us these days in the areas that you can have as trekking. We waiting for a prompt response to concrete finish our trip, keep in touch. We are not a trekking agency, this is just an informational travel website. I just made a reservation at my hotel for Nick and Dariece for Tuesday night, June 2nd, but both of their email addresses, [email protected] and [email protected] came back undeliverable, so I am forced to contact them through your advertising department. Please pass the message on that they are confirmed, but will need to contact me before Tuesday at 4 pm to arrange their transfer to the airport on Wednesday morning. Thank you Eric. I will pass this message on to Nick and he will email you from a different account. 3Crest Tours & Safaris is full registered company owned, managed by wildlife and travel enthusiasts. We are proud to have a reputation as reliable and professional Tanzania & East Africa tour specialists, well equipped to handle all your holiday packages, safari vacations and travel requirements throughout East Africa. Based in Arusha Tanzania Africa, our experienced team specializes in customized well-paced itineraries, combining attractive destinations, exhilarating safari adventure options and unique accommodations to create a tailor made holiday itinerary which suits your lifestyle and your budget. Thanks for stopping by Isaac! Im liked very much your project and your journwy seems very nice! I wanna know if you have a plans for to visit Brazil and Sao Paulo? We are interesting to work with you like.. exchange bed for some post in yours social medias.. I dont know this work exactly..
What o you think about it? Hope this finds the traveler couple in good spirits. 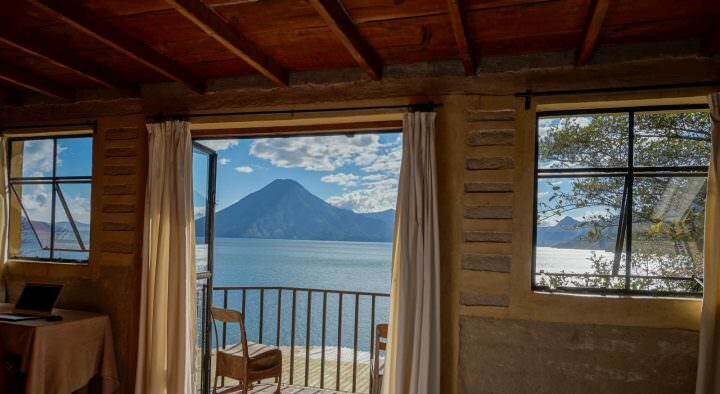 I just found you in the list of the best and most popular travel blogs around the world. I am interested to work with you. As you are running a travel blog, we want your assistance in reaching out to companies who would want to give free stays in exotic resorts to their customer-base. Apart from this, we are also looking to recruit companies and individuals to market our offers globally. Please let me know if that is something you can help with. This is a great website. Full of resources, especially, for upcoming bloggers! I would be very interested in learning more about the opportunities of working with GOTR and how you can assist us in increasing our brand awareness. Please send an email to dariecegoatsontheroad(at)gmail(dot)com. Love your new website, you both make my Monday when I recieve your weekly email updates. my name is Claudia and I am writing on behalf of Tickets Florence, a company that sells skip the line tickets for museums in Florence. They would like to collaborate with bloggers, travel related magazines and websites. You are one of those I thought about. They need an article about a Florentine museum (you can choose the one you prefer on http://www.ticketsflorence.com) or something about Florence/Tuscany that involves a museum. The important thing is a link to their website. What is the fee for something like this? I hope this message finds you well. My name is Maximillian Suiter. 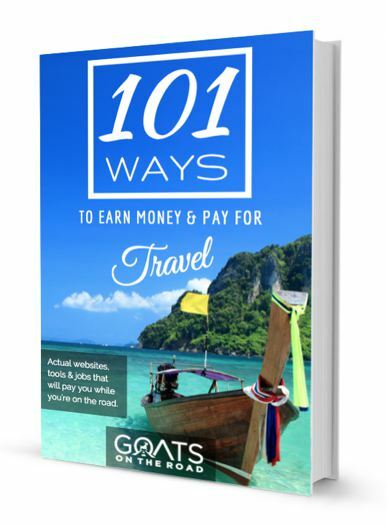 I am an avid traveler, and have visited Goats On The Road for sage travel wisdom. I have been working on a mobile app called Pip. Pip is a new kind of social network, going beyond the wall and beyond the timeline to improve the way people live and communicate. Through combining elements of social media, geocaching, and augmented reality, users can leave their content in real places for real people to interact with and appreciate. I would like to begin a dialogue about the growth of augmented reality and how it can improve the traveler’s experience, and revolutionize the travel industry. I would also love it if you downloaded Pip, and provide me with any suggestions you may have. I’ve been following your blog for a while now. I really love the content, it’s super useful for digital nomads like me. Your recent post, “The Secret to How We Tripled Our Blog Traffic in 6 Months” especially spoke to me as I’m a content creator always looking for new ways to increase traffic. Anyways, I’m writing to you because I’d love to contribute to your blog. I thought I could make a piece of content that is unique and that your reads would love. Using and optimizing travel cards to maximize your rewards. Describe that there is no perfect card, it takes an understanding of how you travel. If you like a certain airline, hotel, or region to travel to, there is a card for anyone. Regardless, it’s crucial to follow Ramit Sethi’s 6 rules of credit cards whatever card you go for. Choosing the Right Travel Card: Options, Options, and Too Many Options! In this section, I will talk about how many companies try to hide information and how for many this part of the process is where everyone gives up. I will provide a couple of websites, a guideline of searching for the right card, and a few questions and answers to look for when calling to inquire more information about cards. In this section, I will discuss the most fundamental rules of taking advantage of your card to get free benefits. A few of these rules would be using Concierge service, trip cancellation services, or Automatic Warranty Doubling for purchases. In conclusion, I would talk about how there are options without annual fees which are good, but it’s important to focus on the most important things, which are the rewards. People who only focus on the annual fees and small rewards don’t look at the big picture.